Brazilian Hair - Generale Hair Zone | Any Hair, Any Style, Any Product!! Generale Hair Zone offers the finest quality 100% Brazilian human hair for discerning customers who expect the best! We understand our customers want long lasting gorgeous hair which is why we offer retail and wholesale quantities of the product you deserve at a price you can afford.Brazilian Hair is one of the most popular type of hair extensions in the market. Brazilian hair is naturally compatible with many hair types including African-American and Caucasian. It is good for all hairstyles, holds curls beautifully and curls when wet. 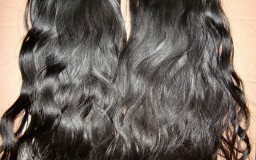 Our Virgin Brazilian Hair is collected from single donor and has not been chemically altered or processed.